Mona Shah is passionate about social justice and creating transformative social change for the most marginalized and underserved communities. She is a seasoned non-profit leader with over 20 years of experience in the fields of public health, social work, youth development and arts and culture. Her extensive administrative and programming experience includes serving as the Director of the Oakland Asian Cultural Center for almost 6 years. 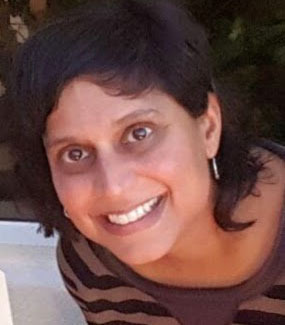 During her tenure at the Oakland Museum of California, Mona was selected as a fellow for the Leaderspring leadership cohort. She was also a Women’s Health Leadership (WHL) Fellow, a program funded by the James Irvine Foundation. Mona is currently an independent consultant supporting San Francisco Bay area social justice focused non-profit organizations, foundations and government institutions through her broad experience and knowledge in community building and partnership development, program development, project management, organization development, leadership trainings, event planning and employment recruitment. She more recently served as the Acting Project Manager with the City of Oakland Human Services Department and was responsible for launching and implementing a federal funded initiative through the Substance Abuse Mental Health Administration (SAMHSA) focused on promoting resiliency, equity and healing in cities that have experienced historical trauma and recent civil unrest. Mona is also a member of the Organization Development Social Change (ODSC) peer-learning group, a network of consultants focused on the social change sector. She also serves as a commissioner on the Alameda County Arts Commission. Mona has a BA in Anthropology from UCLA and a Master’s of Science in Social Work from the University of Wisconsin, Madison. Mona enjoys living, eating, and playing in Oakland, CA with her family and friends.